Understand that meditation is not something that will happen overnight or something that will be automatic from the onset. It takes time and it takes practice. 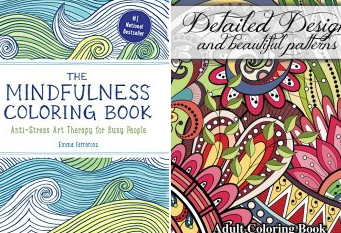 Meditation is a great way to find your stress-free retirement lifestyle... but did you know that adult coloring books, as strange as this might sound, are also great stress-busters? I also LOVE this free Meditation app, called Insight Timer... helps you sleep, get over worries and challenges in life! The audio downloads below are all around $1 from Amazon.. cheap as a trial to see if meditation might help you! However, You can't just listen once - you just have to listen over and over. If you are new to meditation it does take a while to set your mind free. Start to focus on your breathing throughout the day. When you are hurried and rushed, do you notice that your breath is shorter and more labored? If so, begin by focusing on each breath, taking deep breaths in through the nostrils and releasing through the mouth. You should also notice the rise and fall of your stomach as you focus on your breathing. Be intentional about your meditation. Meditation is a practice and a learned skill. It needs to be practiced intentionally in order for it to work. It does not just happen to you. Dress appropriately for meditation. If you are trying to sneak in ten minutes of meditation in your lunch hour, dressed in your business skirt and heels, chances are you will be rushed and harried. Set aside a time that is appropriate where you can wear loose fitting clothing and where you can concentrate. Begin with the practice of releasing tension in all your body parts. Focus on the feet first and release tension in that area; move up to your ankles, etc. Do this until you have reached the top of your head. For some practitioners, tightening and releasing muscles as they go along makes for a greater awareness of the release. Practice your breathing techniques together with the release of tension in your body parts. At first, this will seem difficult; however, it will become easier as time goes on. You will be able to tighten and release your muscles and breathe in and out to release that tension. Stretching your muscles a bit before sitting to meditate is a great way to get blood circulating and get in the moment. Let others in on your new-found desire to learn meditation. If those around you know you need quiet time, they will respect your solitude - especially if it will give them a happier and healthier you. 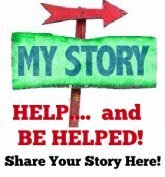 Be consistent with your mediation practices. Do not let circumstances take over control of your mediation practice. Before you know it, you will become a pro - just stay consistent.